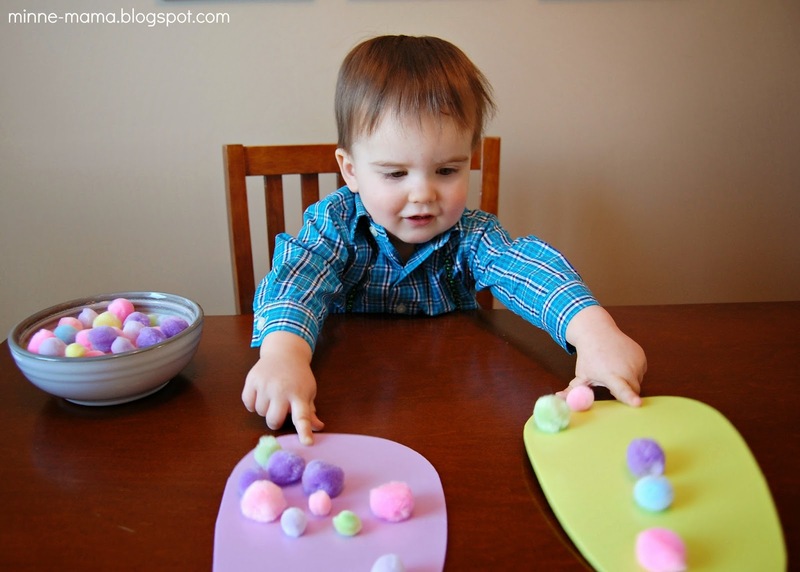 With Easter exactly four weeks away, I thought it would be time to start gradually adding some handmade decorations and Easter inspired play activities into our home! 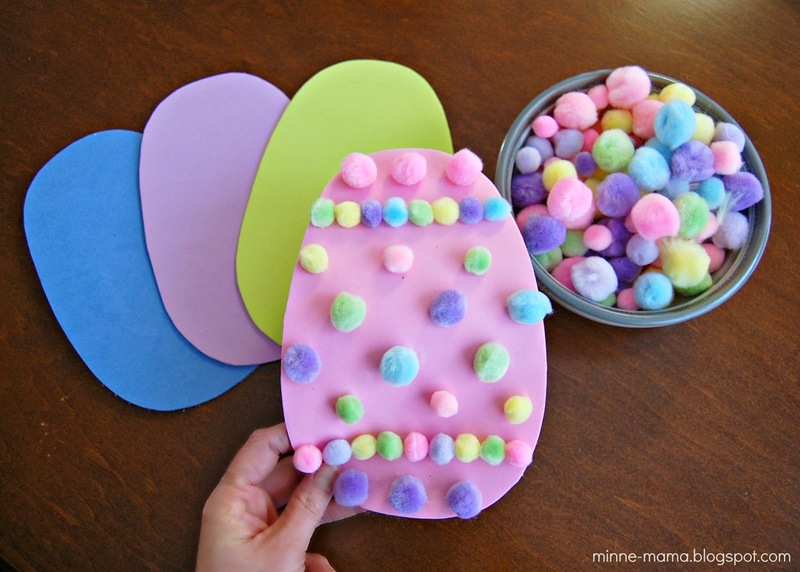 Our first craft has been planned since Valentine's Day when I bought some foam for a fun Valentine themed bath and accidentally got foam with an adhesive backing. 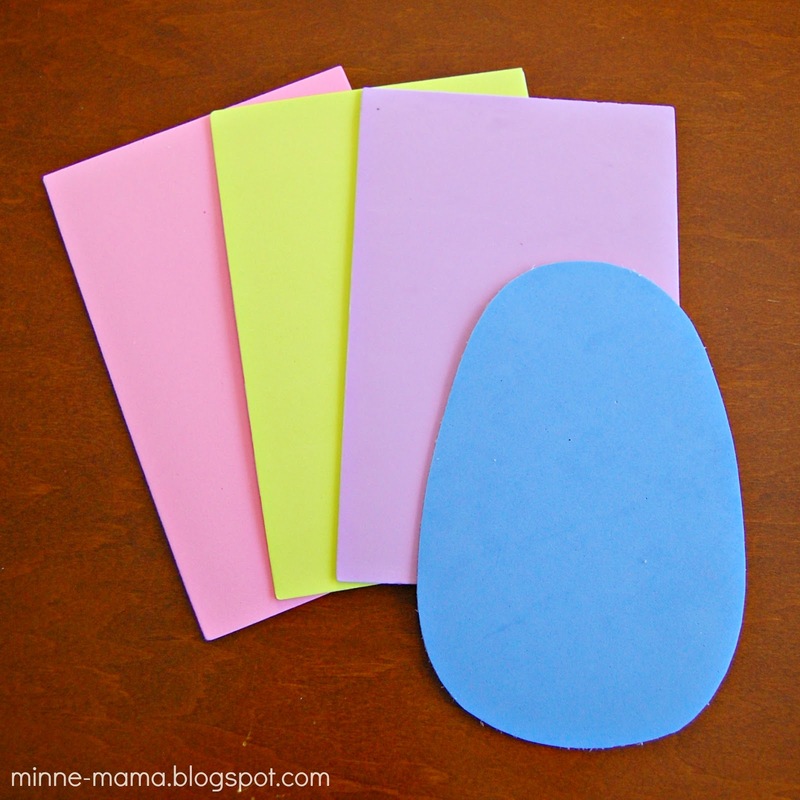 With the pretty light colors, I knew they would make the perfect Easter decoration! 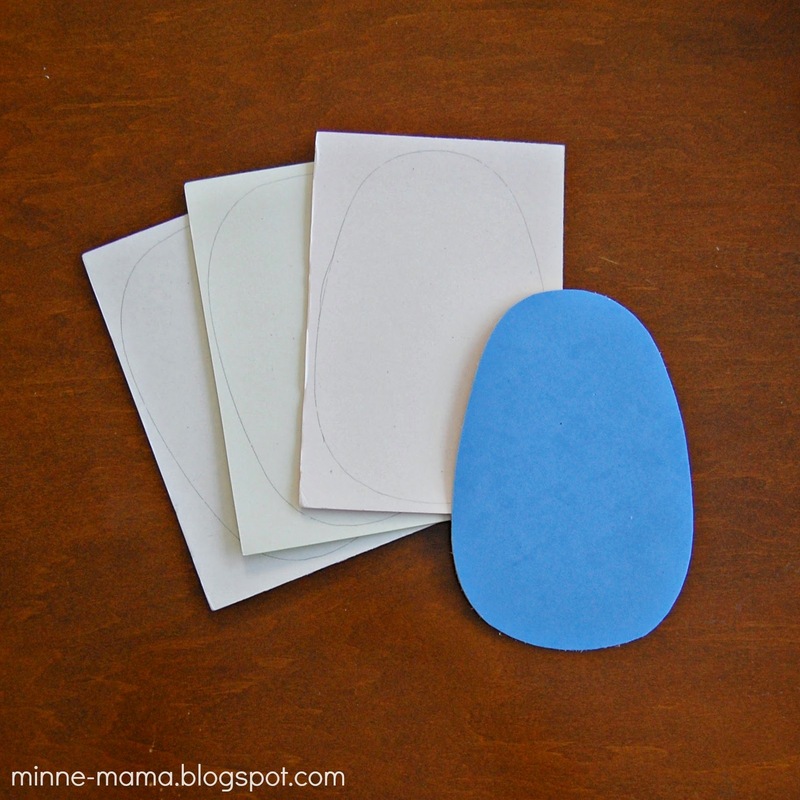 I drew an egg shape on the back of the blue foam free hand and then traced it onto our other three eggs. 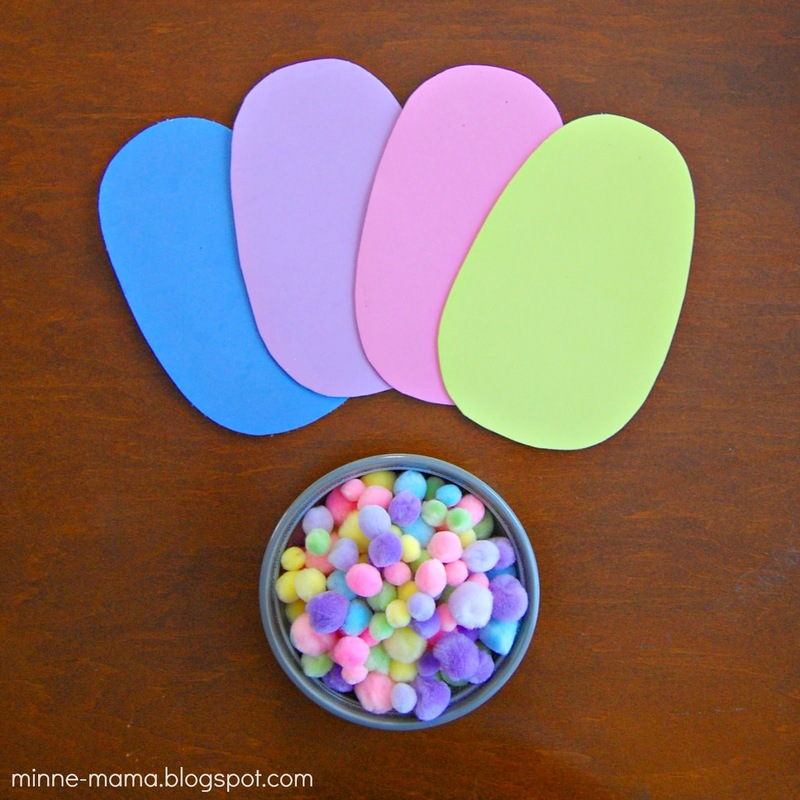 I cut them out, filled a bowl with some pastel pom-poms and we were ready to create! 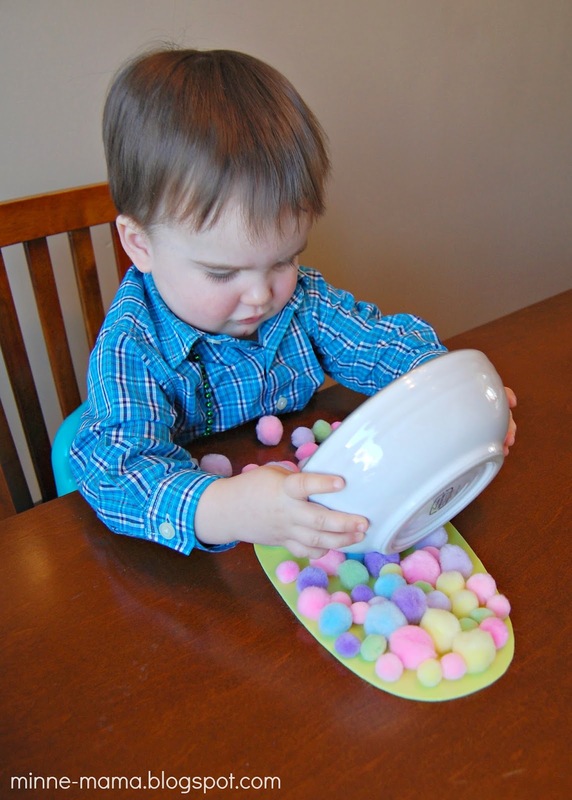 Of course, mama had to try it out ahead of time to make sure that it would work! 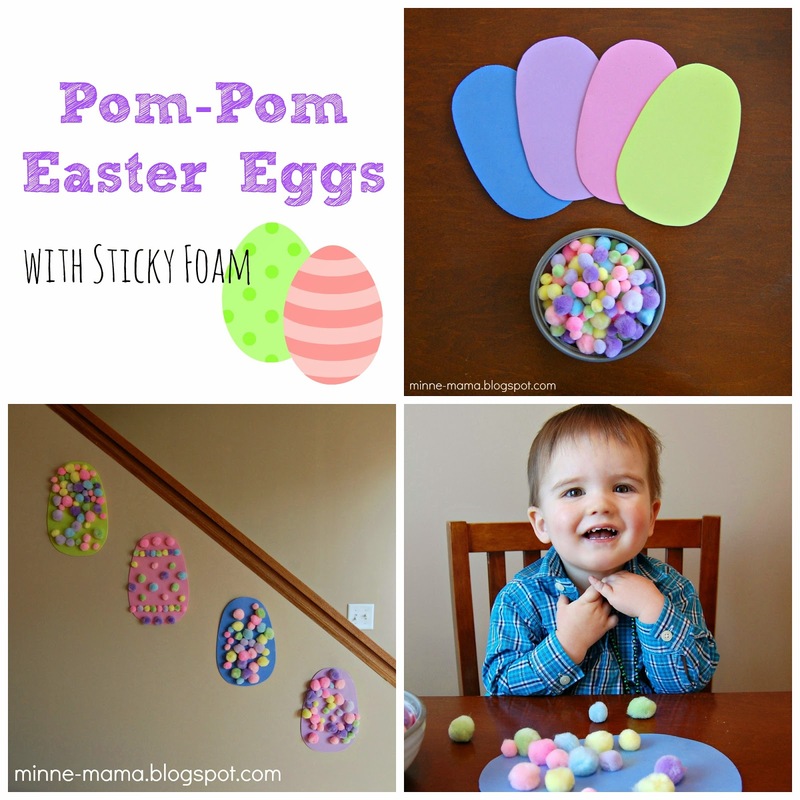 :) The adhesive on the foam is super sticky and it is so much fun to stick the pom-poms on! 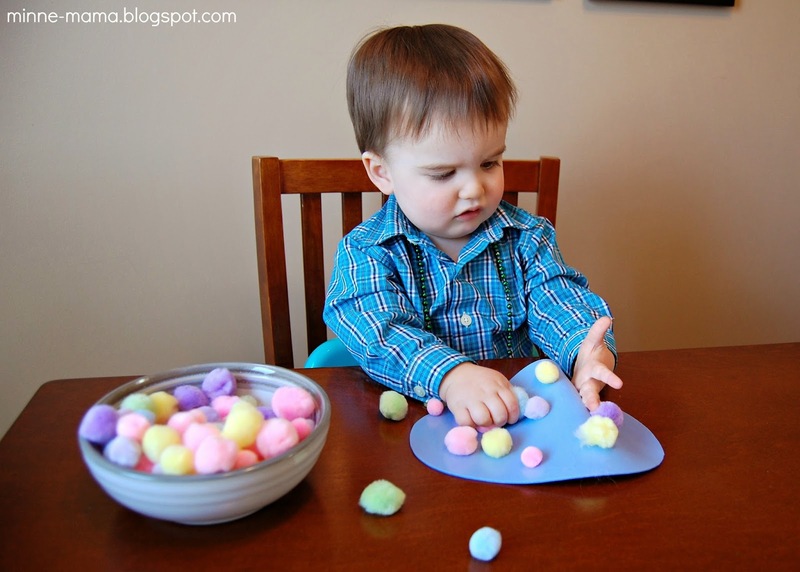 Skyler decided on the blue egg first, so I peeled off the backing and he started sticking the pom-poms onto the foam immediately! 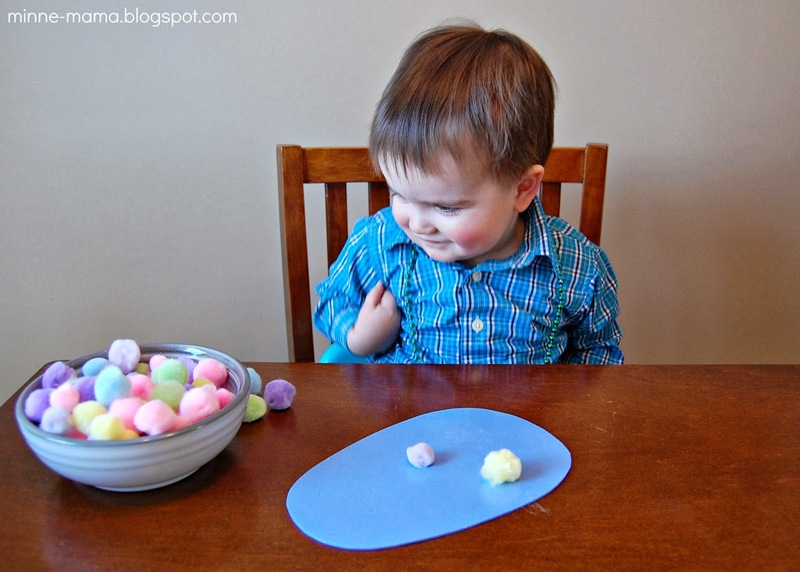 He noticed the stickiness and was very intrigued! 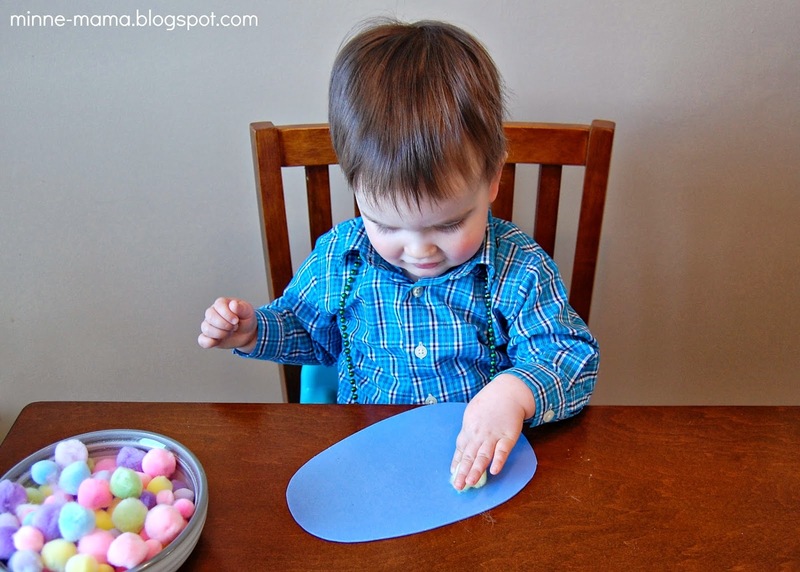 There were some great facial expressions going on during this craft. 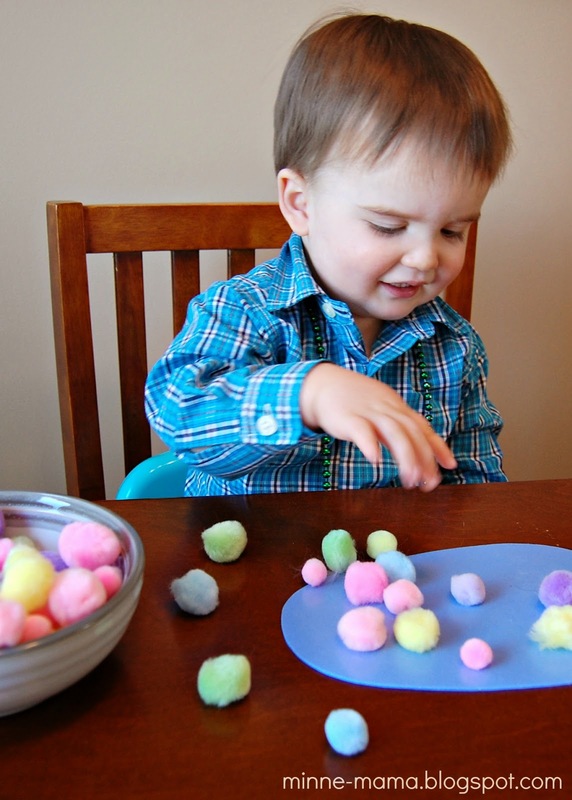 You know when he pulls his hands in like that after placing down a pom-pom that he is a happy guy! 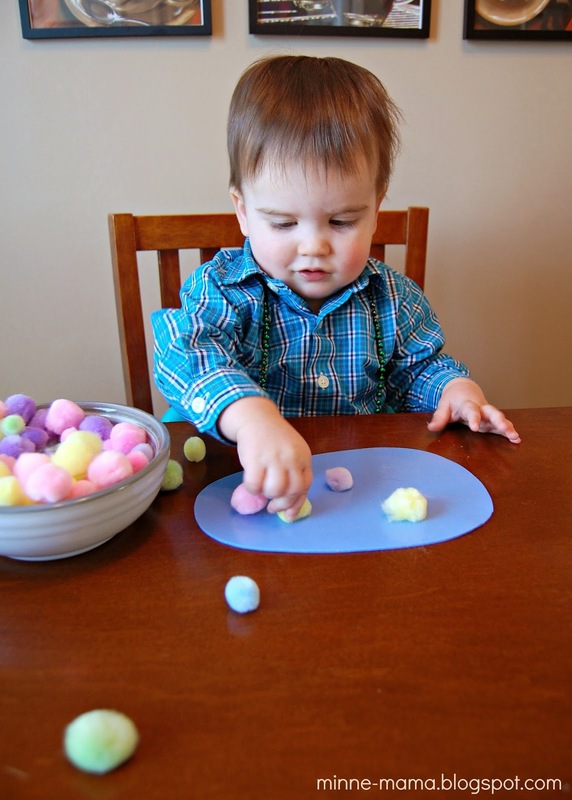 The first time Skyler got his hand stuck, it got REALLY stuck. He almost couldn't get his hand off! This adhesive foam is very sticky. 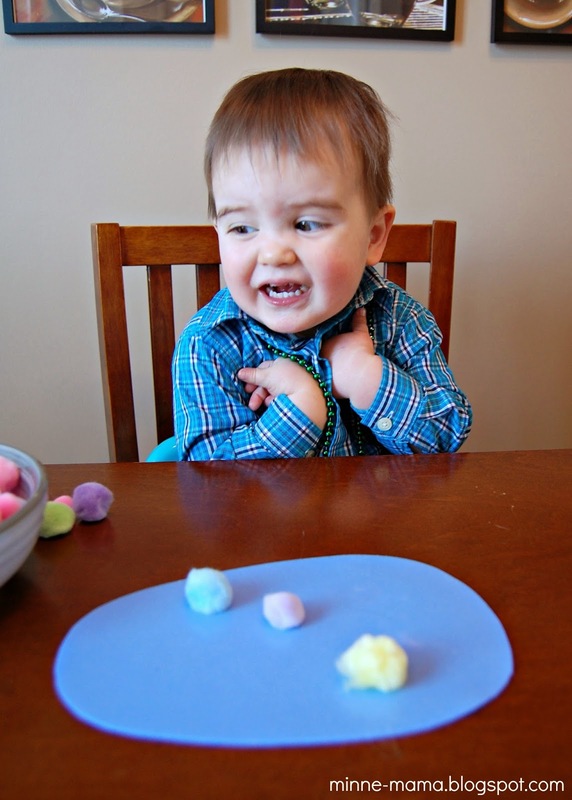 At first he thought it was funny, but after awhile and before he finally got it off he was getting a little miffed. Why won't this come off?!?! 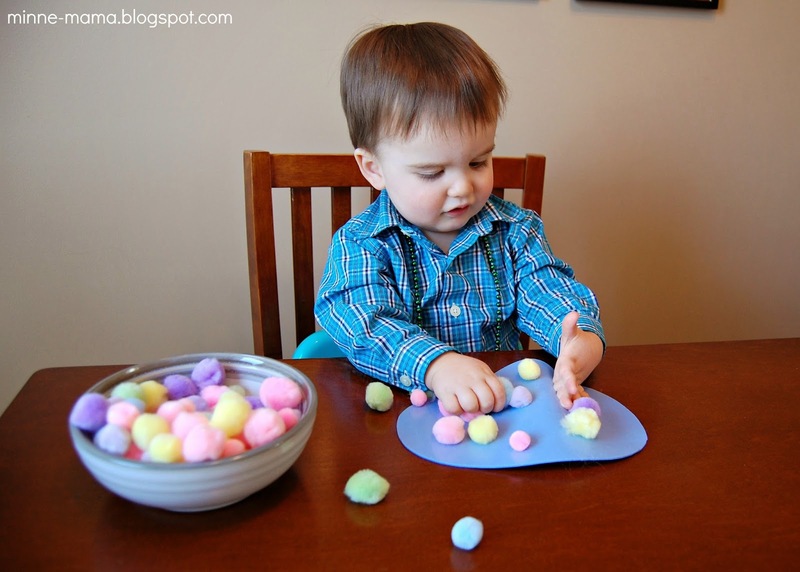 Then he did it for fun. 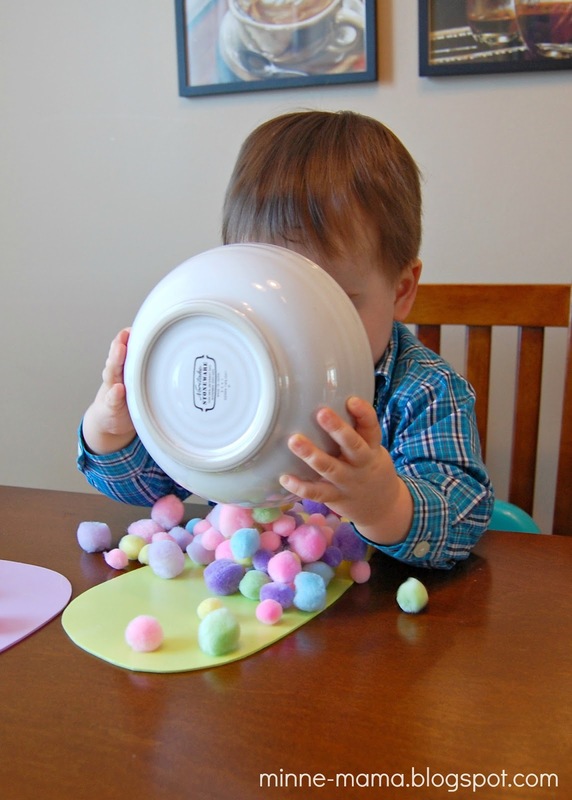 Even one finger could keep the eggs stuck enough to shake around! 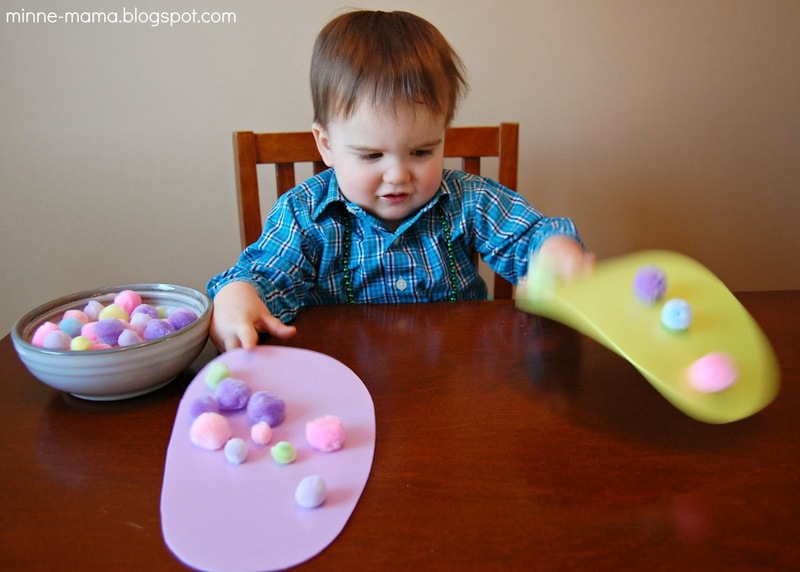 After filling his entire blue egg and working on the purple and green by pressing individual pom-poms down (or dropping them from "up high!") 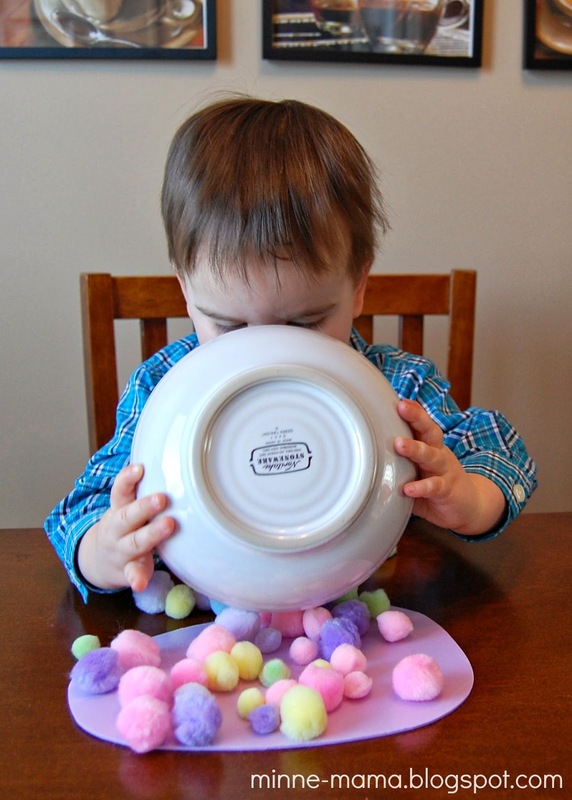 Skyler decided to dump the pom-poms out of the bowl. 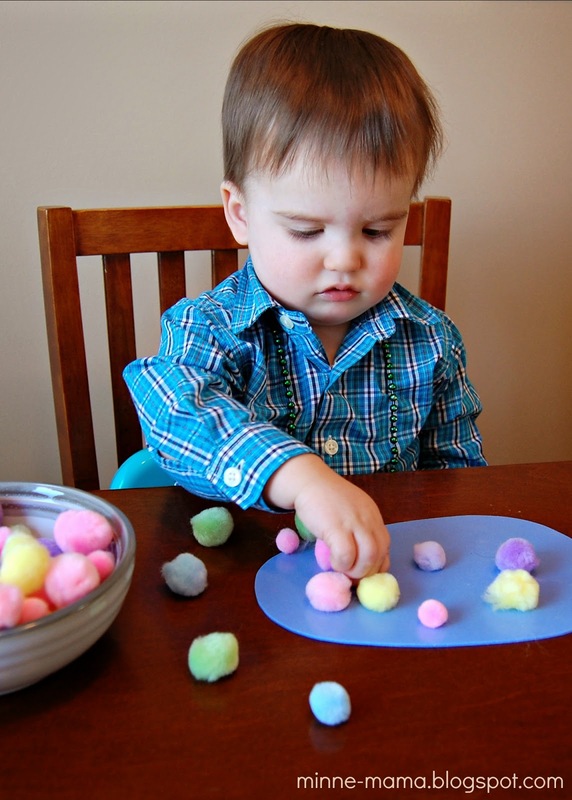 He had so much fun using this method and dumped it over and over until all the pom-poms were used up! 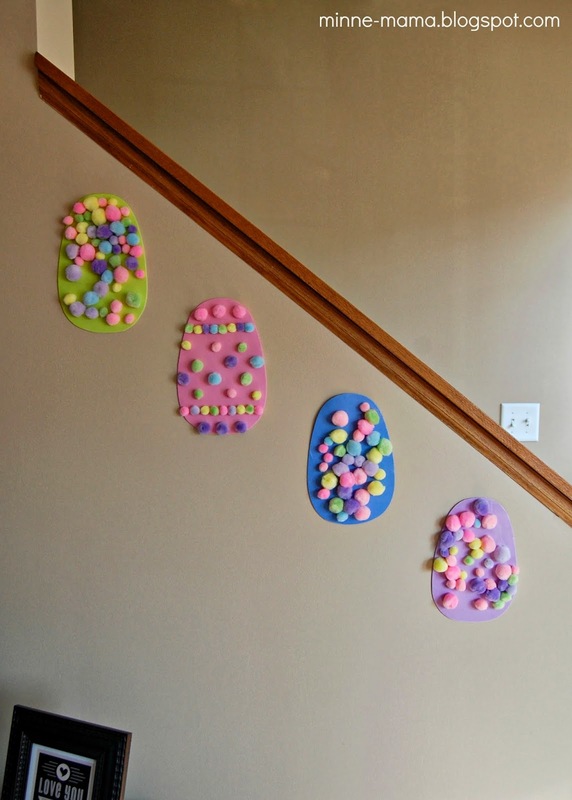 Once our eggs were done, I displayed them leading up our stairwell. They are so festive and I am looking forward to seeing them up on our wall until Easter! 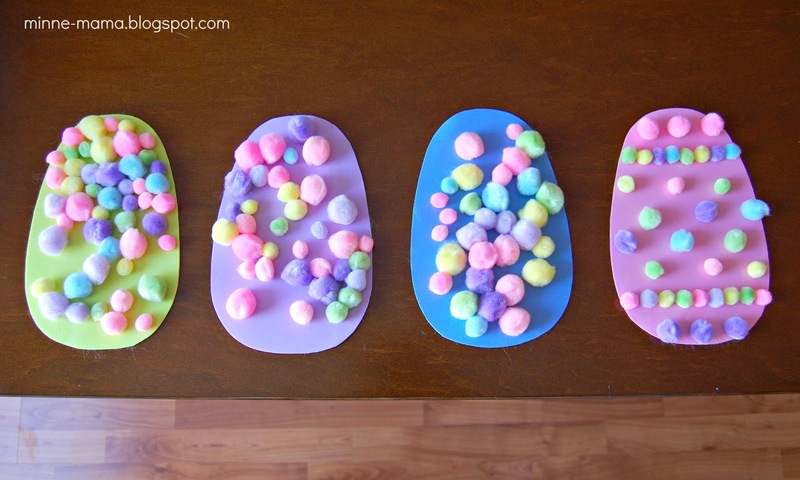 These simple Easter eggs were a blast to make and I love how cheerful they look on our wall!